If you are into fitness gyms, yoga, CrossFit, etc, most probably you’ve heard of a clothing company call Panaz Malaysia. They have a store located at Bandar Sri Damansara, Kuala Lumpur. 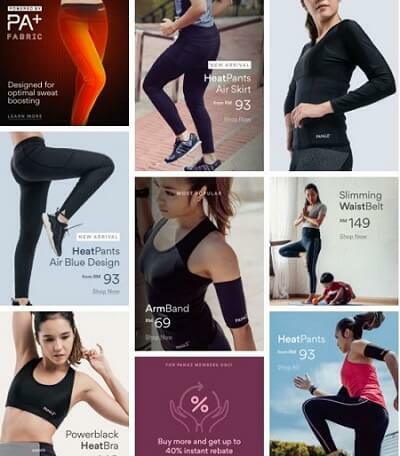 Their key selling product is fitness heat pants. They also sell heat bras, arm band and slimming waist belt. In this article, I thought of writing a review on their slimming heat pants. Since I have never worn a Panaz slimming pants before, it is not fair for me to write about my personal reviews. What I did was look for the Panaz product reviews and testimoni by Malaysian social media influencers on Facebook and also on Instagram. The following are the heat pants reviews that I’ve found and they are quite interesting. The first Panaz product review I found was from Shini Lola. Shini is a Malaysian based blogger that writes about travel, beauty, lifestyle, fashion, food, gadget etc. What is the function? Panaz® slimming pants is designed to help you sweat more, burn more body calories during daily activities like watching TV, walking around, exercise and so on. In addition, Panaz® slimming pants is suitable to wear anytime, anywhere, and it is designed for everyone. But little hint here, try not to wear during sleeping time. Next, is a review from another Malaysian blogger, Renness Sim. She writes on interesting topics such as beauty, fashion, food travel, etc. The inner layer of pants absorb your sweat, proven by the colour gets darker after exercising or simply walking. To be very honest, the moment I take off my pants, I found my underwear is in completely wet condition. Its heat retention function is not kidding! The third review is by a blogger, Miera Nadhirah. Just like the 2 influencers above, Miera also writes on lifestyle topics. 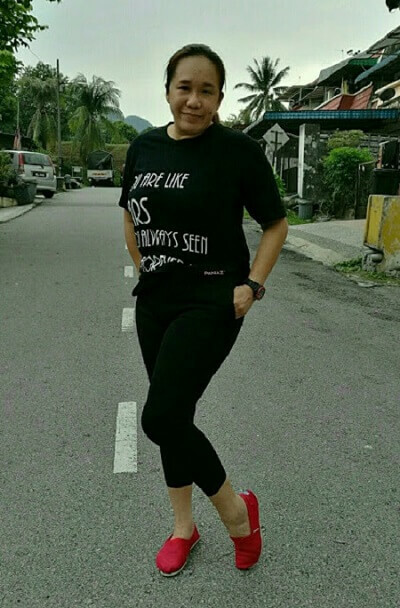 I also wore the pants for the Charity Fun Walk I joined recently and it was really comfortable with a super stretchable material, ideal to Malaysia’s humid weather. I only realized I was sweating when I got home, took off the pants and felt the sheen of sweat where the material covered. What’s the conclusion after reading the 3 product reviews above? There is one common theme in all of the reviews. Panaz heat pants, as the name suggested, is to encourage your low body to sweat more by retaining heat in its thick and stretchable material. Since you will sweat alot until your underwear is soaked, I don’t think it will be very comfortable to wear to sleep. It is excellent for people who live an active lifestyle that go to the gym a few times a week to workout or attend regular yoga sessions. However, the heat pants from Panaz is not suitable for me. I am a mommy and my full time job is to take care of my 2 girls age 4 and 6 years old. I do not have time to workout and I can’t recall when was the last time I went to the gym. But I do want to stay in shape, lose weight and have a nice body figure. I would prefer a slimming pants that is comfortable to be worn the whole day, breathable and I can even wear it to bed. Luckily, I found such a product from a recommendation from an online friend. If you are looking for a slimming pants that is comfortable to be worn 24 hours a day, I would highly recommend the Aulora Pants with Kodenshi. The pants is fully made in Japan and imported into Malaysia. If you want to know why I decided to buy the slimming pants, you can read about it here. Check out the pictures below. 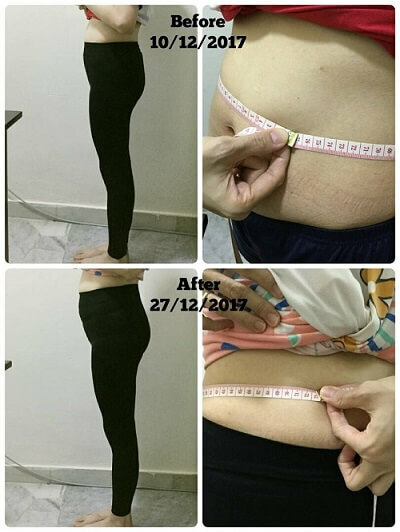 The first 14 days wearing the slimming leggings, my waist measurement was reduced by 4 cm. As a bonus, the pants also lifted by flat buttock. Want to know more about the Aulora Pants?